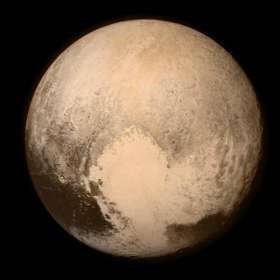 Just last week, NASA’s New Horizons spacecraft made it’s much anticipated and already historic flyby of Pluto. Many of us have already gazed in awe at the dramatic photos being sent back from the spacecraft. The images we’ve seen are only a fraction of the data scientists have received. In fact, scientists have received only 5% of the data being collected. That’s because filling out NASA’s photo album is not the spacecrafts primary focus. NASA’s mission is to collect as much data as possible while Pluto is in range of the spacecraft. Scientists won’t see the rest of the data until the weeks and months to come. That’s when they’ll shift their focus to analyzing the data. The New Horizons spacecraft was launched nine years ago. Technology has evolved leaps and bounds since then. NASA anticipated this reality, so they designed the spacecraft to collect as much data as possible. This included data they don’t currently have the means to analyze. NASA knew the tools would, and will, evolve, and that collecting the data was more important than knowing exactly what to do with it. What Does NASA’s Data Collection and SaaS Customer Metrics Have in Common? We launched our web-based time, task and project management software, Intervals, in 2006, the same year the New Horizons spacecraft was launched. And we had a similar philosophy as the NASA scientists. We wanted to track as much data as we could about customer usage. We didn’t know what we’d do with the data — we only knew that socking it away in a database would be relatively cheap and guaranteed to be useful. Fast forward to the present day. Our little spacecraft, AKA Intervals, is drifting through the Internet collecting new customers. Only now, the market for time tracking and task management software is much more competitive. There are more project management apps than ever before, with new ones popping up daily. Intervals was originally designed and developed with a certain type of customer in mind. We cater to web designers, developers, creatives, marketers and IT gurus. When competing in a crowded marketplace, it helps to have a niche. The question we asked ourselves was, how can we improve our web-based software to better serve our customers? We are constantly tweaking and tuning Intervals web-based software to help our customers succeed. First, we listen to what our customers are saying. Then, we look at the data to shape their ideas into new features and improvements. The following is just one example of many illustrating how we used data to improve Intervals. Shortly after launching Intervals, we noticed customers having a problem with the onboarding process. When a customer first signs up for Intervals and logs in they are taken through a series of setup steps. This helps prime their account with the basic settings they’ll need to quickly start managing projects, tasks, and time. We noticed that repeated customers were asking the same questions about one of the setup steps. And so we decided to investigate. We had made the decision when we launched to track each customers progress through each step of the onboarding process. We were thankful we did, because now we could analyze the data to see if other customers were finding the same step to be confusing. The data revealed that an unusually high percentage of customers were either skipping that one step, or worse, abandoning the onboarding process and not logging back in. We rewrote the copy for this one onboarding step — providing customers with a better description of the feature, along with a few practical examples. Our goal was to reduce any anxiety associated with the onboarding process by providing the customer with more clear and precise instruction. The results showed an immediate improvement. We noticed an immediate reduction in the number of emails, and the data showed that fewer customers were skipping the steps or abandoning the onboarding process. What Types of Data Should You Collect? Ideally, you would track anything and everything related to your customer’s behavior. But, it’s not practical to track everything. Try to identify the SaaS customer metrics that will provide the most useful data for improving customer’s success using your web-based software. Here are a few customer experience metrics we recommend tracking to get you started. Track timestamps for each login. Understanding customer login activity can help you predict and nurture conversions, and help predict and prevent cancellations. Track basic metadata, such as timestamps and customer IDs, when customers add, edit, and delete information. This data can reveal a customer’s level of engagement, and their likelihood to convert. It can also help prioritize which heavily used features to improve first, and which less used features to jettison.